There just doesn’t seem to be a limit to the lengths that the ambulance chasing network, CNN will go to to act on behalf of their candidate, Hillary Clinton. 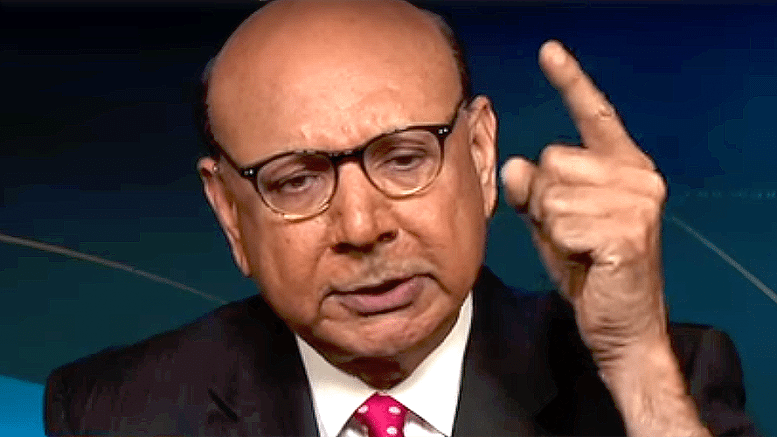 Now that they’ve got their sleazy phony little Islamic show dog, Khizr Khan, unleashed they’re just letting him run wild. This Islamist author has written of his belief in the supremacy of Sharia Law, including of how he believes it supersedes the Constitution. Yet he hypocritically lectured Donald Trump about the Constitution from the DNC stage in pressing the Democrat and thereby the Islamification of America, caliphate cause. This terrorist doesn’t know when the jihad jig should be up. He’s still pressing on long past the time when common sense and an ability to read his audience should have told him to shut the hell up. He’s not doing a very believable job of selling his latest bout of emotional distress, his inability of dealing with a veteran making his own decision to give Donald Trump his Purple Heart. Giving gifts is part of that freedom of expression guaranteed in the First Amendment, part of what is protected by that Constitution that this Islamic control freak is supposedly so intimately familiar with. Somehow CNN and Khan feel like he is now the new Islamic conscience of the military and Donald Trump, that Trump needs to meet his standard of approval for everything he does. Khan’s not any better at acting than Obama is; in fact, he was less effective in portraying a distraught Islamist than Obama was with his horrible fake tears shtick. Those Madrasa acting classes must not be all they’re cracked up to be. The naturalized little Pakistani terrorist has made a living exploiting the American visa system loopholes and other shady deals with the establishment elites like his comrade Hillary Clinton. He’s made his point now it’s time for him to shut the hell up. Take a hike Khan; we’re tired of looking at your corrupt, wormy little face. We’re not interested in hearing your description of how honorable people you agree with are and how horrible Donald Trump is. You’re a pathological liar and a scumbag who is exploiting the death of his son for your fifteen minutes of fame. Worse than that you’re doing so in the furtherance of the Islamic conquest of America through the promotion of an evil enemy of this country, Hillary Clinton. Next thing we know he’ll be lecturing Donald Trump about the crusades and being on his high horse. Go away, little worm; get off of my television. Your fifteen minutes is over; you’re done. [Listen] Mark Levin – Seven of Ten Planks in Communist Manifesto Already in Place in U.S.